Like french fries? I do. Like ketchup? Me, not so much. As an ingredient in a broader dish, I’m ok with it, but on fries? Nope. I realize I am in a vast minority in that so the announcement of the single plant that is called the “Ketchup and Fries” plant received a lot of attention. This plat that is a new hybrid that was made from grafting two different ones (no genetic playing here): a tomato plant and a potato plant. I think it is interesting in the fact that for you tomatoes you grow up and potatoes you grow down, do you really maximize your space. Perfect for that urban garden! Check it out here. While ketchup is an ingredient, it is no where near the star of this dish. 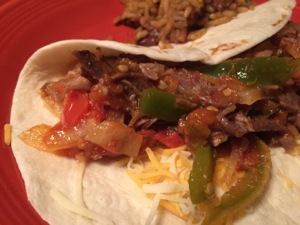 Fresh tomatoes and peppers work well with the beef. A long slow cook makes the beef so tender. 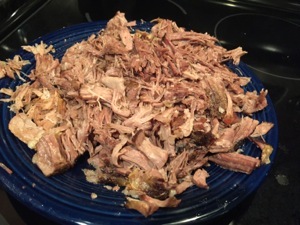 Shred the beef like you would for pulled pork. 1. Place roast and water in a 3-qt. slow cooker. Cover and cook on low for 8-9 hours or until meat is tender. 2. Remove meat. When cool enough to handle, shred meat with two forks. Skim fat from cooking juices; set aside 1/2 cup. 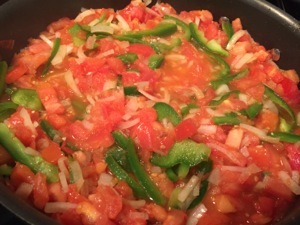 Meanwhile, in a large skillet, cook the tomatoes, green pepper, onion, garlic and bay leaf in oil over low heat for 15-20 minutes or until vegetables are softened. 3. 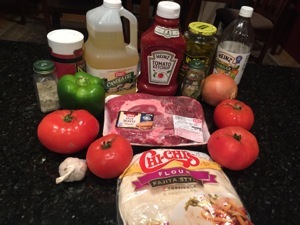 Stir in the ketchup, jalapeno slices and juice, vinegar, salt, garlic salt and reserved cooking juices. Bring to a boil. Stir in shredded beef; heat through. Discard bay leaf. 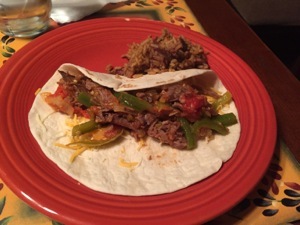 Serve on tortillas. Yield: 8 servings. 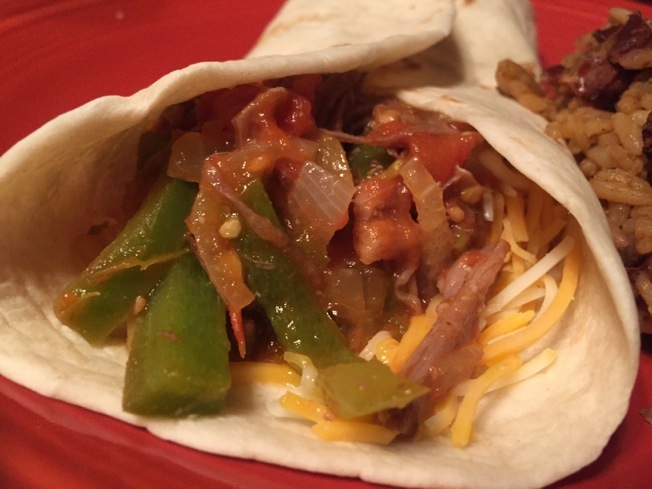 Nutritional Info: 1 beef-filled tortilla equals 425 calories, 17 g fat (5 g saturated fat), 74 mg cholesterol, 1,135 mg sodium, 39 g carbohydrate, 2 g fiber, 28 g protein. And to this day I can’t eat it!